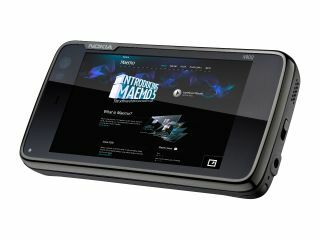 Nokia seems set to release a Maemo 6 device at some point this year, according to a MeeGo Conference session summary. That's right, we said Maemo. The long-dead (or so we thought) Nokia OS only made it on to the Nokia N900 before being replaced (or so we thought) with MeeGo, Nokia and Intel's collaborative OS. What's more, we thought MeeGo was pretty much dead to consumers too, when Nokia announced that Windows Phone 7 would be its smartphone platform of choice and MeeGo would see one lone "product" release this year, then remaining largely behind-the-scenes as a development platform. The mysterious device, seemingly travelling from a parallel dimension where Maemo survived into 2011, is to run an OS codenamed Harmattan – also known as Maemo 6. The session summary reads: "Nokia is working on the release of a product this year, expected to raise the interest of the MeeGo community. It comes with an OS codenamed Harmattan that is API compatible with MeeGo 1.2." It goes on to say, "The relationship between Harmattan and the MeeGo project is expected to be clarified before the MeeGo Conference." The session also hopes to address frequently asked questions, including what the official name of Harmattan Nokia products will be and what the differences between Harmattan and MeeGo are.